Home>FAQ>I’m using/developing an operating system that does not have Tracealyzer support. What is involved in porting Tracealyzer to my operating system? 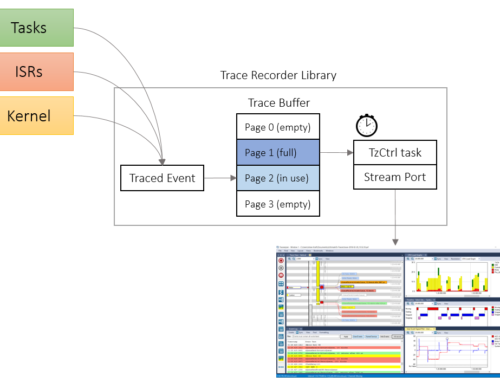 Our Trace Recorder Library used for FreeRTOS+Trace, SafeRTOS+Trace and Micrium µC/Trace is quite easy to port, as we have made a significant effort to generalize it. All kernel-specific definitions are located in trcKernelPort.c/.h, but you need to insert instrumentation in the kernel and add new fields to the kernel object data types. We welcome new partners. Contact support@percepio.com if you would like to know more.